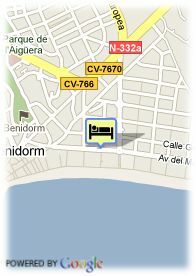 Av Mediterraneo 11, 3503 Benidorm, Spanje. 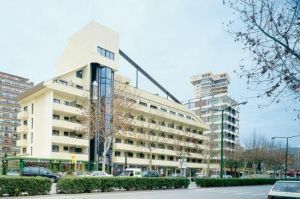 Hotel Agir was refurbished in 2007, it is excellently located 50 m from the well-known Levante Beach and close to Benidorm city center. It offers 76 rooms, 16 of them superiors providing with many facilities and services such as swimming pool set on the sixth floor, restaurant where you can taste traditional Mediterranean cuisine, sidewalk café, spa, gym and shopping area.